We organized all our paper clutter in just a few hours! About a year ago I was feeling so overwhelmed with the amount of paperwork I had to manage for our home. I stressed out about not being able to keep track of our own receipts and whether we'd paid our quarterly utility bills. I knew something had to change! So I started a method for organizing all my house 'stuff' in one single spot. I don't miss a thing. That amazing 30 minute chicken dinner? Yep, I know the blog URL so that I'm not spending 20 minutes searching Pinterest. Getting organized is easy, staying organized should be even easier! Are you feeling chronically disorganized? Are your counter tops overflowing with papers & receipts? 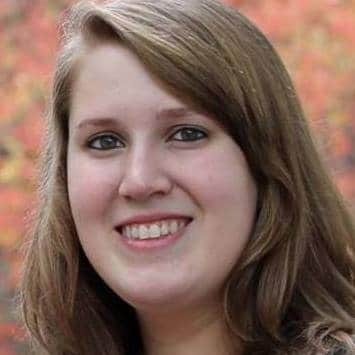 Did you forget your sister's birthday for the 2nd year in a row? 2 years ago I said YES to all of them. 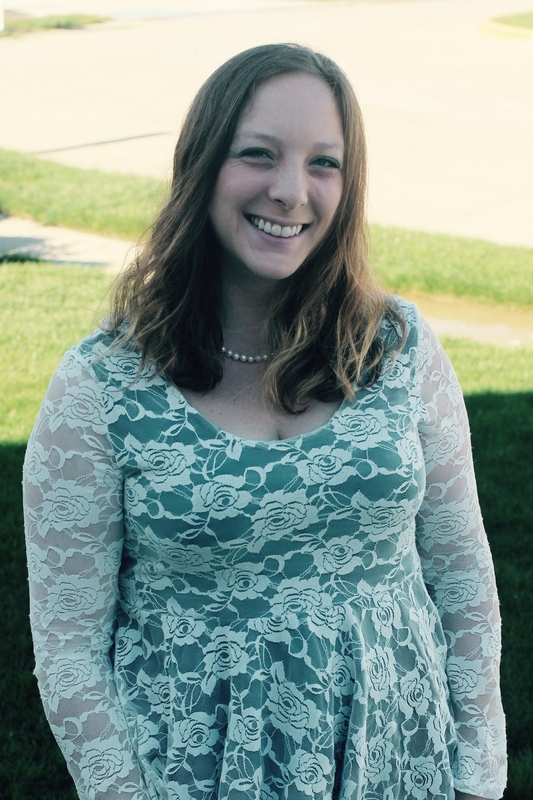 I was a working mom juggling two little kids trying to keep our home organized. My husband & I were constantly looking for old receipts, recipes that we liked that one time, and we were always trying to remember our family's birthdays! IT WAS SO MUCH WORK KEEPING IT ALL STRAIGHT. I started filing away all our important items in one spot. It didn't matter if it was a favorite dinner recipe, or home maintenance sheet, or even tracking our family's finances! And then The Ultimate Home Binder was born. Now, I want to share what helped us get organized with you! How would you feel if this time next month you were clutter free, living in a well organized home, and planning your next week without stress? I am a chronically disorganized person .I'm almost always rushing to get places on time, my kitchen counters are full of papers and receipts and I have enough of a hard time remembering my families birthdays let alone other events.. until I got Brittany's home organization binder. All I can say is-- wow. Seriously, I've never seen something so comprehensive. I can now confidently expect that I'll remember important dates and school activities. I can actually SEE my counters because I have a place to put all my papers (and then actually be able to find them later!! ), I'm organized in ways I never even thought I needed help in thanks to this binder. It's so easy to use and I honestly don't think I'll ever need any other organization system! like when you organize your papers. Provide undated calendars to keep you on schedule- each year! Yes, I want to stop feeling overwhelmed and finally make my home organized! I’m really not sure if hubby even knows where to find some of it! Like-wise, the things he takes care of, I don't think I could find the information if I needed it either! I’m thinking to myself, this is great! Now I can put it all in one place and he will be able to find everything when I'm traveling for work! I’m glad to have this binder to help us organize all of our household related information so we can lead better, more organized lives! 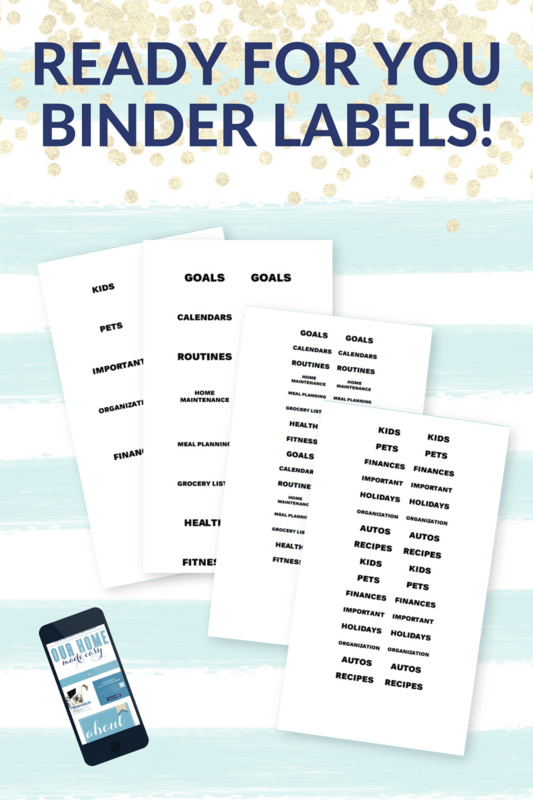 120+ printable pages for creating the perfect organized home binder! so that you can print off extra pages as often as you want! I think we can all agree that managing a home can be a little overwhelming sometimes! And as much as we’d like to think we can do it all ourselves, the reality is that sometimes we need a little help. That’s where Brittany comes in! The Ultimate Home Binder is like a “fill-in-the-blank” organization system for your home. All you need do is print it out and start filling it in. It’s really that easy! 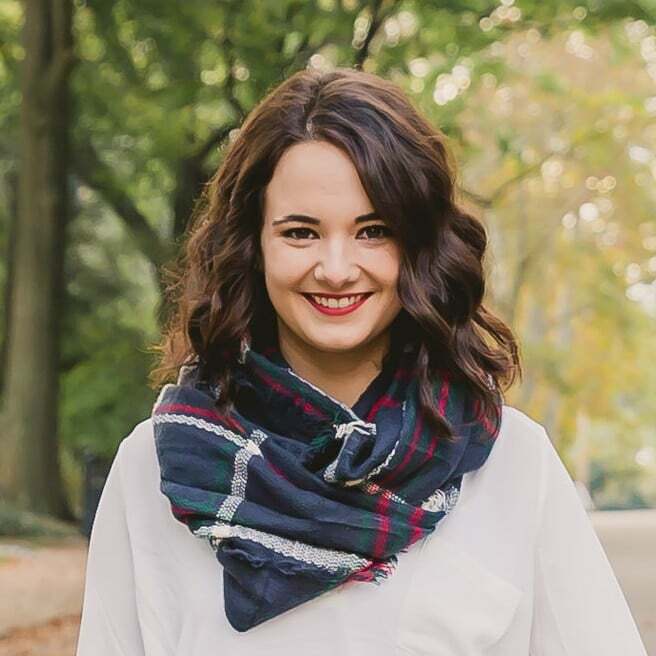 Brittany has structured the binder so that all your most important home information is right at your fingertips. No more searching through notebooks, folders, phone apps, and piles of paper – like I always do! Honestly, the best part about this binder is that you can start implementing the system today. And believe me, you are going to feel so much better once everything is in one central location. I can’t wait to print out The Ultimate Home Binder and start getting my home life organized! Includes 2 Binder Cover Options! Choose Blue or Pink to make it perfect for you! Now you won't need to worry about creating your own pre-printed labels-- it's already done for you! Wondering how I do it all? It's a secret! to help me make my life easier and I'm sharing them ALL with you! 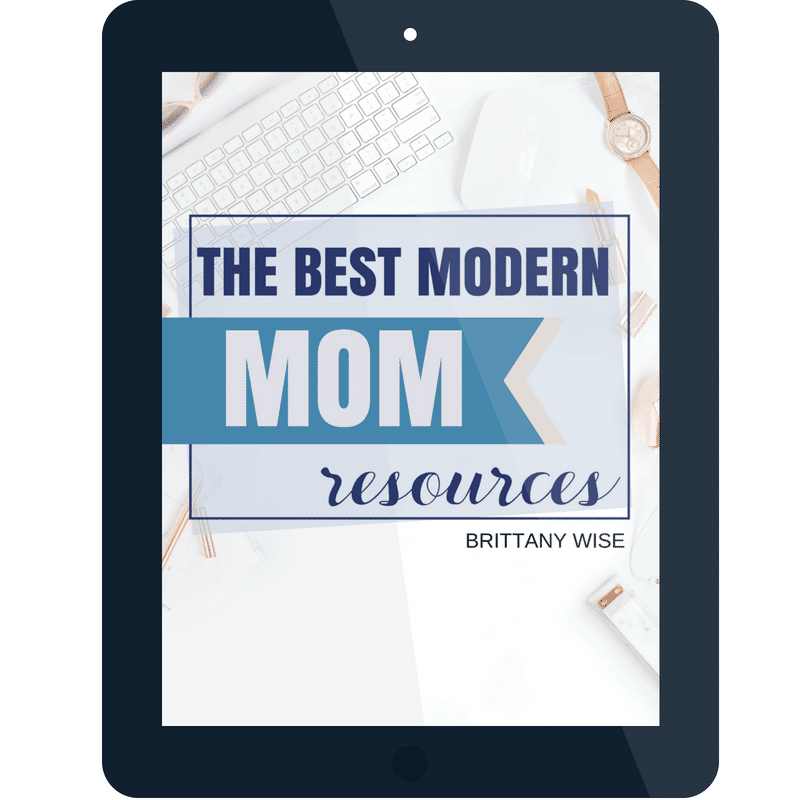 When you're ready, these are the best resources to help you organize your entire life at home and make life easier. 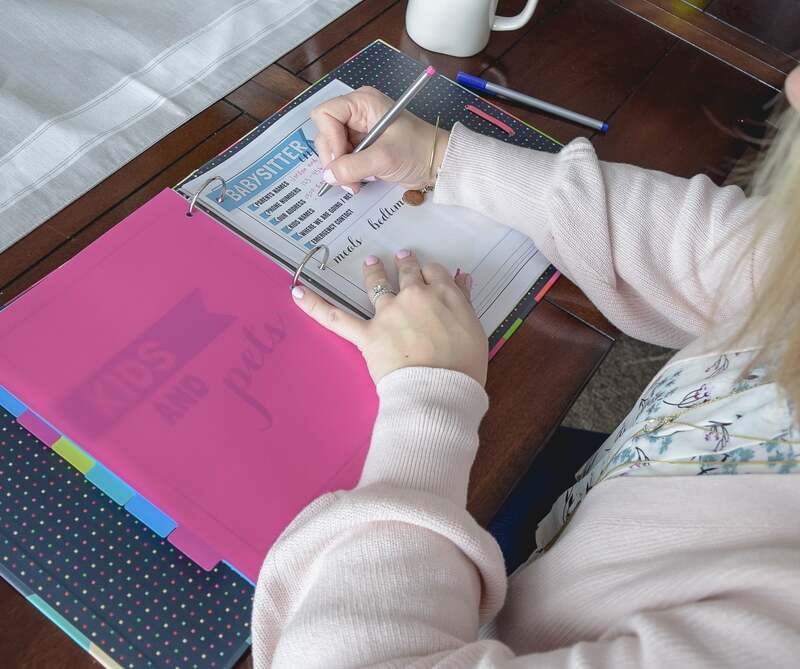 As busy mamas with a thousand tasks on our plate at any given time, it makes life so much easier when we're organized! We'll never "have it all together," but we can sure find ways to make some home management tasks simpler. 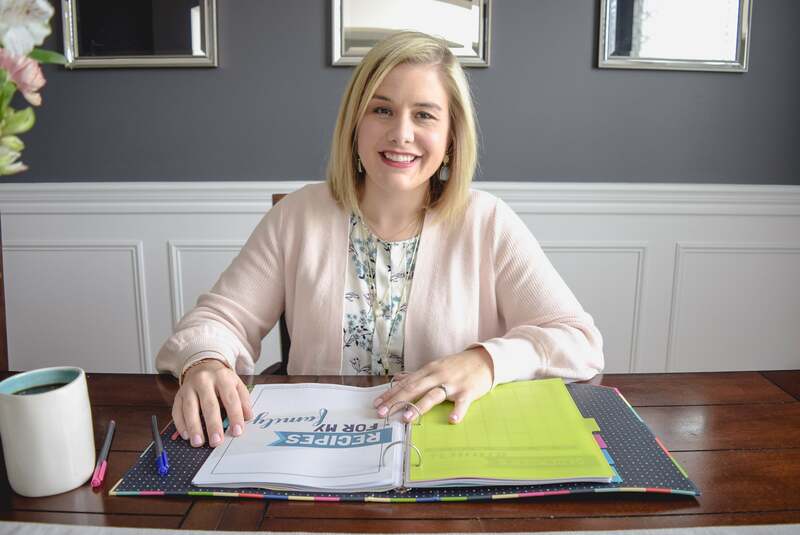 Brittany's Ultimate Home Binder is perfect for moms who are looking for a simple solution to keeping all of their home-related tasks, lists, and information in one place. 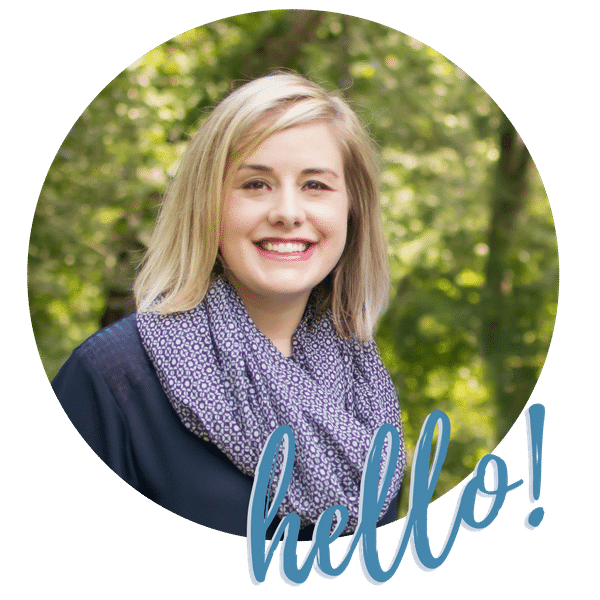 She helps you get and stay organized and reduce the everyday overwhelm of keeping up with your home so you can have more time for yourself and for your family! Who Is This Binder For? It's the perfect resource for keeping track of your goals this year, upcoming birthdays, helping you remember the website of that really good dinner recipe, and even helping you track your finances. Who Is This Binder NOT For? Those who need a daily planner. 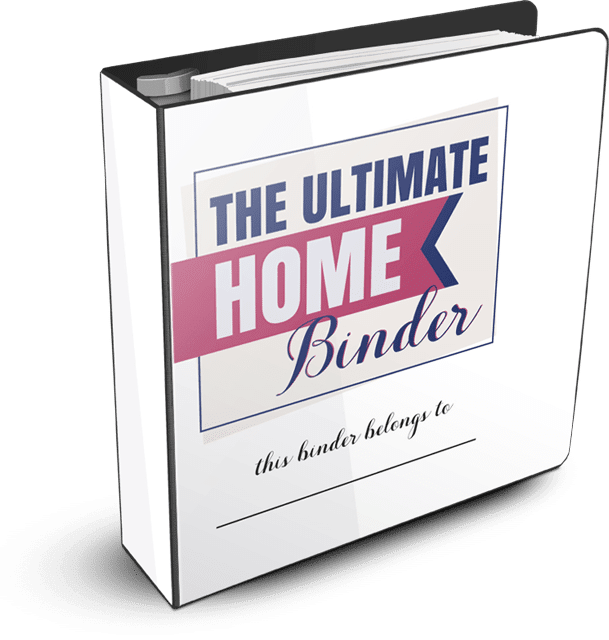 The Ultimate Home Binder is a long-term binder for managing your home and helping you stay on track with your life! Will I Receive a Physical Product? No, this is a digital product. I will send you the files in your email. Be sure to leave a good one! All bonuses will be delivered electronically as well. How Can I Print This Binder? You can use your own color printer or send it to a local print shop like OfficeMax, Staples, or Kinko's. You'll usually pay a little more for color and single sided printing. I recommend printing it off at home! Will This Replace My Planner? 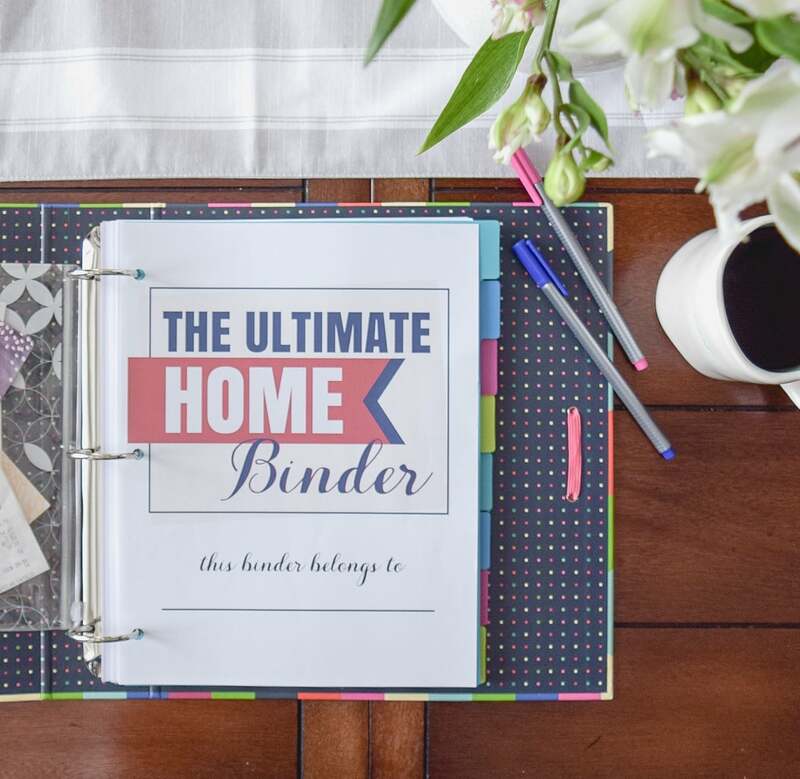 No, The Ultimate Home Binder is perfect as a 'One Stop Shop' for your home. 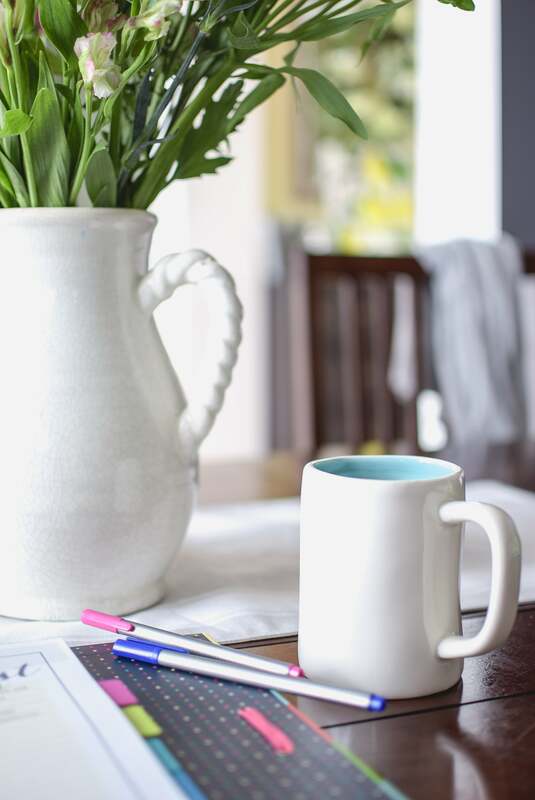 You'll use it often to manage life at home, but it's not for your every day lists and items. It's great for planning your months! You'll want to find a 1"-1.5" 3 ring binder to insert The Ultimate Home Binder. You may also find having inexpensive dividers are helpful for finding the section you want quickly. But that's about it! Do I Need To Buy a New Binder Next Year? Absolutely Not! The Ultimate Home Binder is completely un-dated. Print & use the sheets as often as you would like! 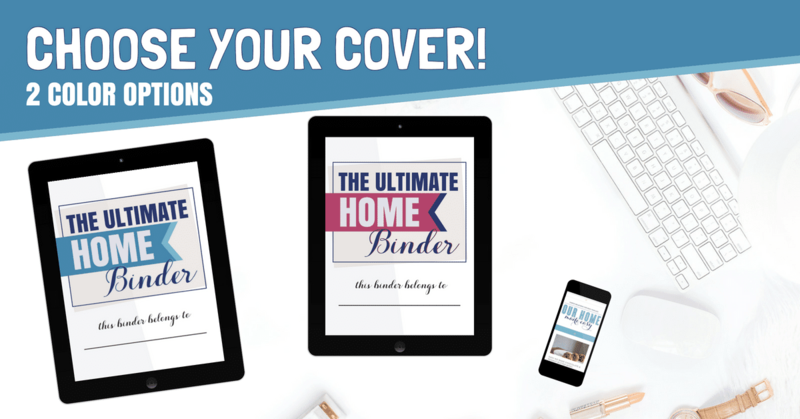 If you want to make your work week more productive, I'm confident that The Ultimate Home Binder will help you do just that. If you don't feel I've delivered on my promises, I will give you 100% of your money back, no questions asked. Who Is Behind the Binder? Let's start your journey towards organizing your home, one page at a time!